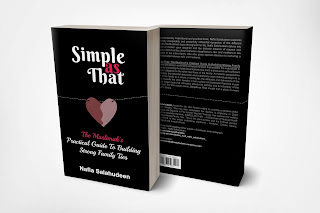 Simple as That offers a wealth of practical advice whether you're a wife, daughter-in-law, mother or mother-in-law. There are four sections in the book, each one dealing with the relationship that a Muslim woman has upon her marriage: her husband, her mother-in-law, and if Allah wills, her daughter and daughter-in-law. The main message of the whole book is that no matter what type of relationship that you have, you must treat others with kindness because this is what Allah expects of you. This is the central message of Islamic relationships: you will be judged on how you deal with others and if you can control your anger and selfishness, your kindness and decency will come through. I will go into a bit about the motherhood section since this blog is about parenting. The main message here to mothers is that you are a role model for your daughters. Your daughters will imitate and then take on the way you behave and act towards others. So if you want your daughters to have a great relationship with others in general and her in-laws in particular, you have to treat others and your in-laws with kindness. Another thing is that you must put in your daughters mind that in-laws are good people too so that she grows up with a helpful 'us' attitude rather than the usual 'us versus them in-laws' attitude. This will colour how she will treat her in-laws later in life. 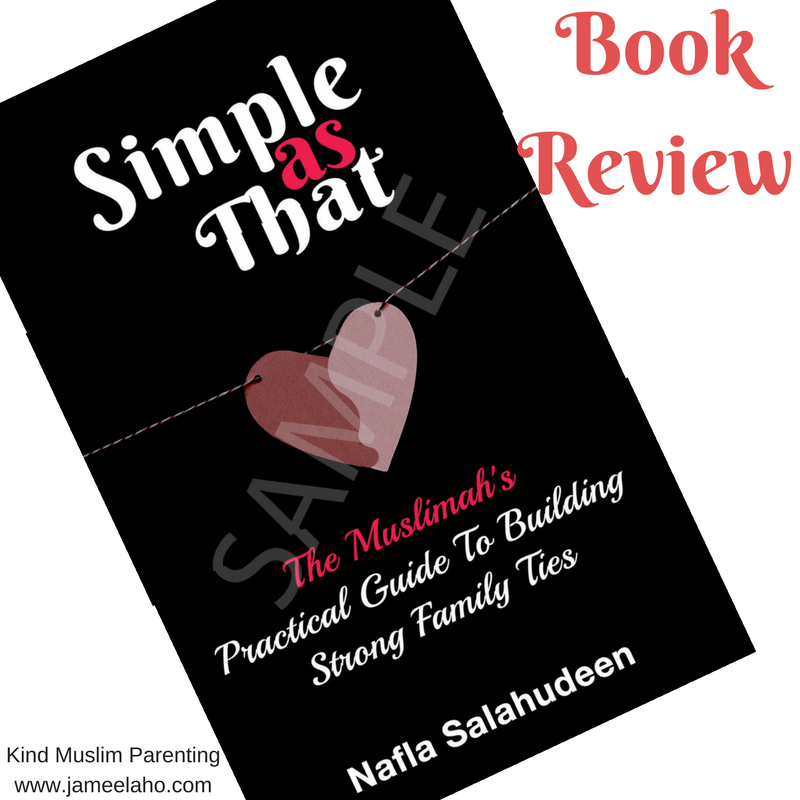 I think, Simple as That is a valuable book for all Muslimahs to have. I've often wondered why there is so much animosity between daughter-in-laws and mother-in-laws. If everyone followed Islamic teachings of treating others with kindness, consideration and patience then we'd all be happier in our relationships. Simple as That is available in both English and Tamil. You can buy it through Amazon (using my affiliate link below) or email the author if you don't have access to Amazon.